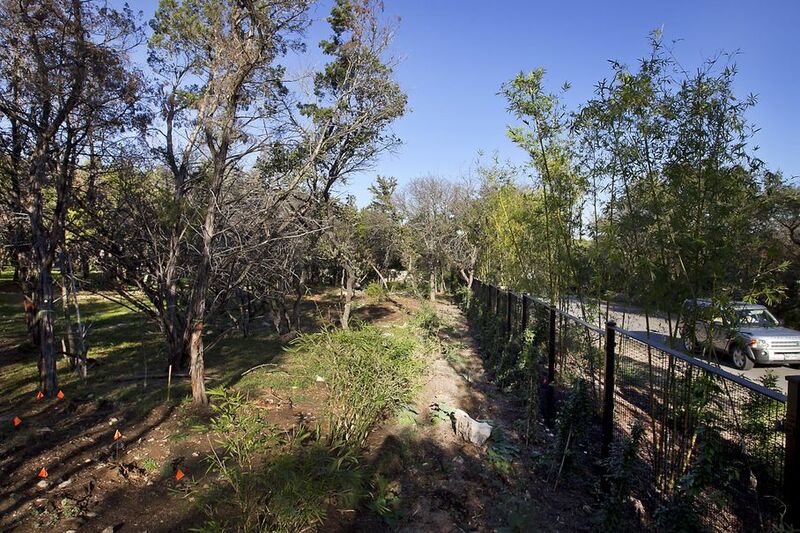 West Lake Hills is in a legal fight with the owner of C3 Presents over scores of trees he cut down along his property line. The city requires permits for any trees that are cut down in its city limits, whether they are living or dead, and is debating over inforcing legal action and heavy fines on Charles Attal, the homeowner, Statesman.com reports. Attal says that the juniper trees were dead and he had them removed because he was worried about wildfire danger. However, the city says he has to replace the trees with new ones or pay fines of as much as $2,000 per tree. They also maintain that they have proof that many of the trees were not dead and have said they will sue if Attal does not comply. Attal says that West Lake's figure of 338 inches total in diameter of the trees is incorrect and he only wants to replace 200 diameter inches. He says that replacing what the city wants would cost over $100,000 and that there's a chance he'd have to get rid of $40,000 of new landscaping and trees to follow the order. The city said their number was drawn from the number of stumps on the property and the West Lake Hills City Council will make their decision on what action to pursue at their meeting Wednesday evening. Looking for a great apartment surrounded by lots of trees? Apartment Experts South can help!